The buildings on this site were constructed during the Urban Redevelopment Phase in the 1960’s for low income multifamily housing. With the construction of the I-95 Gold Star Bridge Spans in East New London, this area of the City became a less residential friendly place for families. 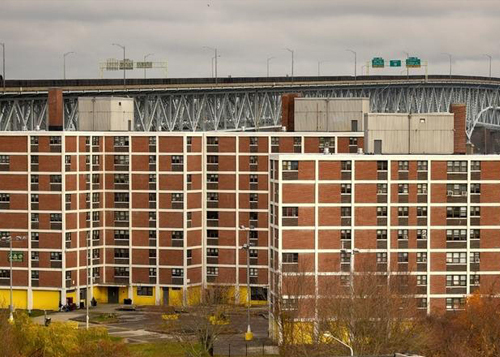 The buildings have recently been vacated by all residents and are slated for demolition. 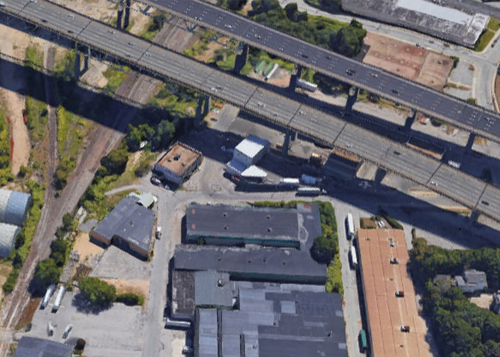 The property is located in a lightly industrial area with surrounding commercially and industrially zoned properties. Property would be required to be rezoned for a use other than those uses permitted in the R-4 Zone. City’s Planning & Zoning Commission recently adopted (2017) their Plan of Conservation & Development and it is a part of the City’s Master Plan to reclaim this under-developed part of New London as industrial/commercial. Green Space area – parklet on Crystal Avenue. Triangular parcel – min. lot size is 10000 f2. Uses may be limited due to bridge spans above. The Hodges Square Neighborhood is located in East New London and is a gateway to travelers entering the City via Route 32 including students from Connecticut College and the United States Coast Guard Academy. 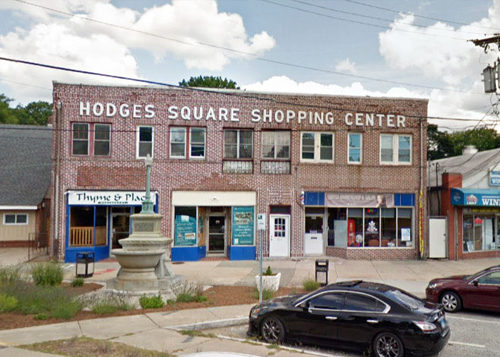 Hodges Square has been designated an “Opportunity Zone” by the U.S. Department of the Treasury to induce long-term investments in low-income communities. Investors can claim tax credits off unrealized capital gains for investing into development projects within the zones. Qualifying investments may include a broad range of commercial and residential investments, such as transit-oriented development, affordable-housing and mixed-use development, and energy efficiency and renewable energy projects. In exchange for their investments, opportunity fund investors can decrease their federal tax burden through the preferential treatment of capital gains. The Hodges Square Neighborhood is located in the C-1 Zone (General Commercial Zone), one of the most permissive zones in the City offering a number of development opportunities for the revival of this neighborhood. The City’s Master Plan (POCD 2017) identifies Hodges Square as a key gateway into New London to be revitalized as a second downtown for the City. This downtown would offer such amenities as service businesses (barbering, spa, salon), restaurants, small grocery markets, retail stores, open green space for passive recreation. Plans are underway for ifrastructure by adding bike lanes, improved street lighting, narrowing of the street, landscaping, street trees, etc. These would all lend to traffic calming to create a charming downtown hamlet.